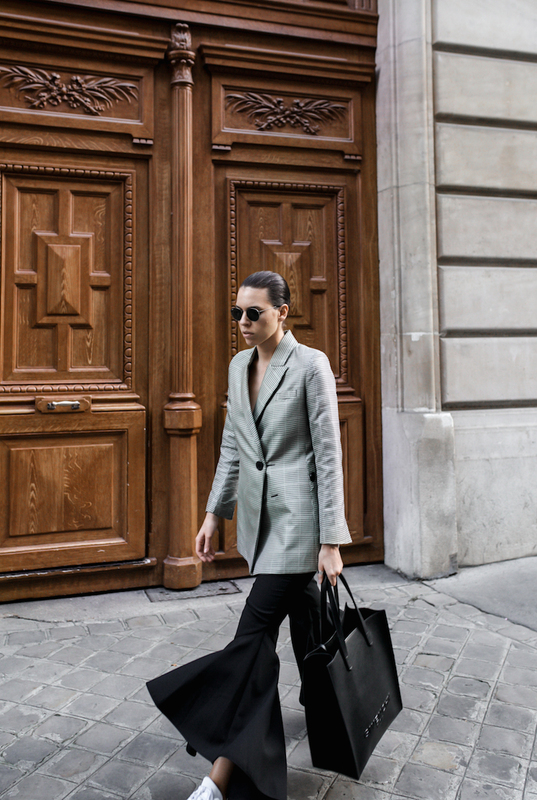 A tailored blazer, slicked-back hair and sneakers, plus a little playful flare to lighten the mood. Because we can’t get too serious with our workwear too early in the new year, can we? Next THE ALL BLACK UPDATE. Why do you love this bag so much ? You like to play free solitaire game this game is really amazing you can play this game on your pc. Wow! I want to refresh my look with this flare 😮 Thank you for sharing!! These pants are stunning and I love how well you pull them off. Great way of combining them with the blazed coat! These trousers are pretty amazing! 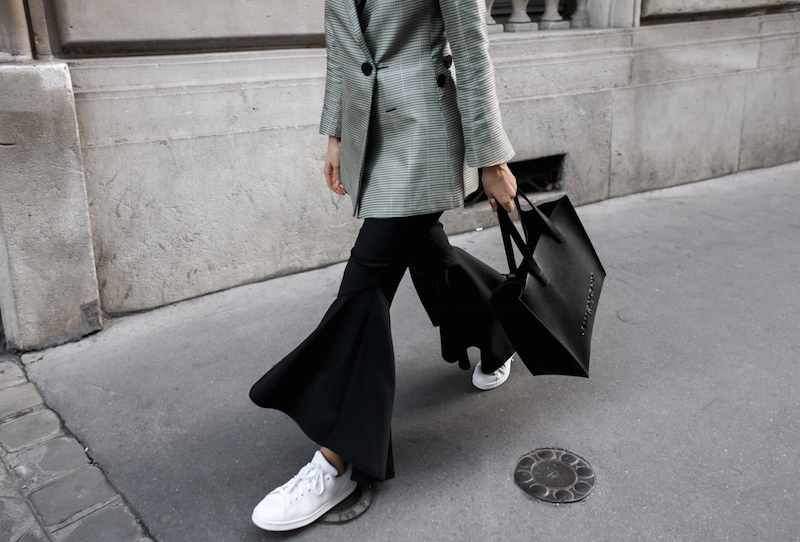 The flares not only on your pants but also in the cut of your blazer are just blowing my mind! 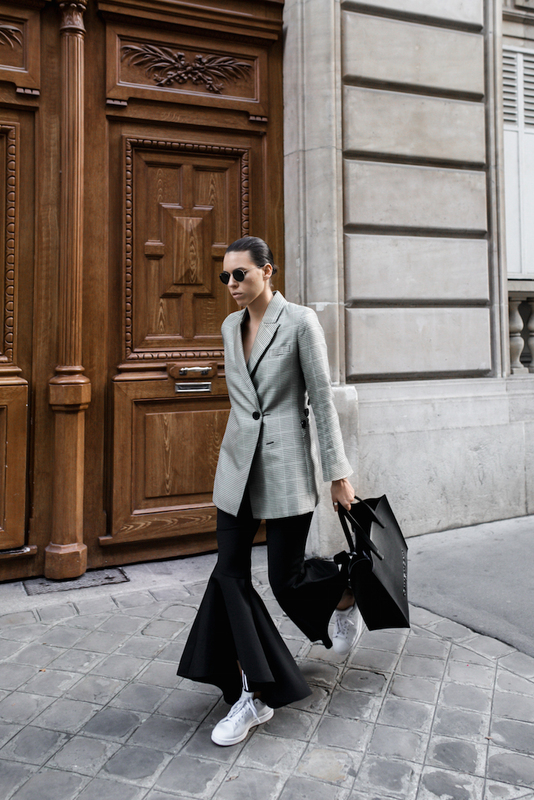 I love this look – workwear meets street cool! OH WOW!!! This is an amazing outfit!!! Love the flares and the blazer a lot! The bag is really nice too!